Ring with a very polished rhodium finish. 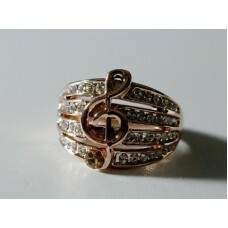 On the front 4 bands covered with diamond cut crystals to ..
Ring with a rose gold finish. On the front 4 bands covered with diamond cut crystals to which a G cl..
Steel band ring, with musical score, just a "piece" of music. The ring on the outside is in silver s..
Ring in very polished steel. 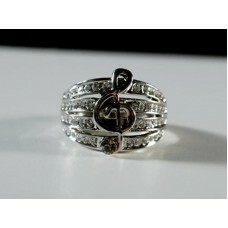 It is a band and is covered with symbols and musical notes in black ena..
Ring in very polished steel. It has a band and is enameled like a keyboard: the steel base for the w.. 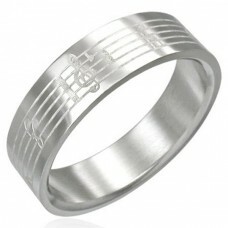 Band ring in polished steel with sheet music and small "in love" notes. It is also called musical Ka..